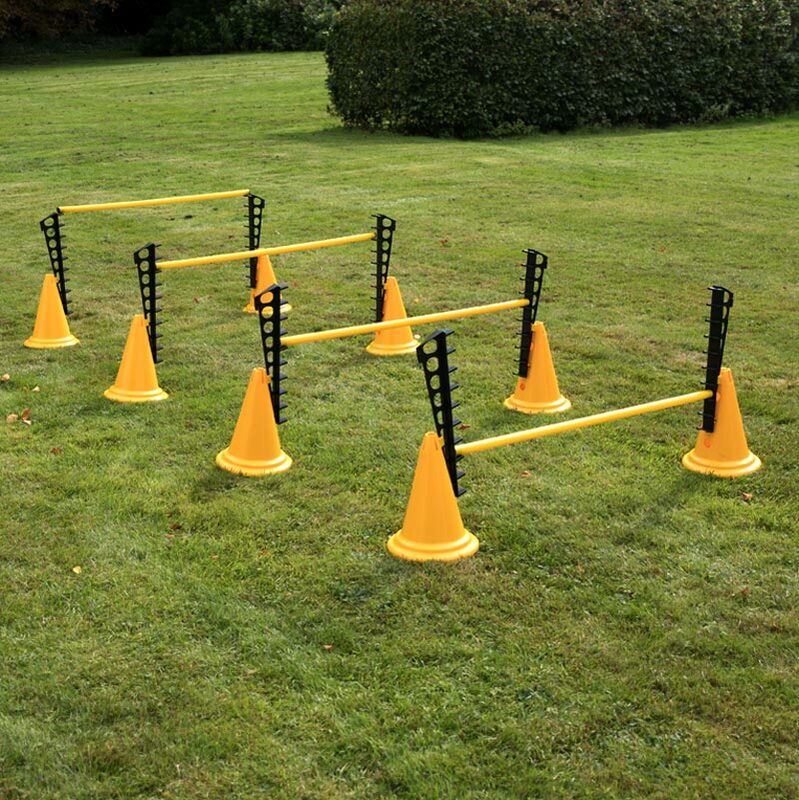 The Ziland Pro Hurdle Set is the perfect training pack. The height extension has ten height settings from 100mm to 400mm. Weight: 5kg. 8 x Ziland Height Adjuster. 4 x 100cm Ziland Poles.